Do you work for Ubuntu? Learning about Ubuntu? We can help. Years ago I changed my operating system for Ubuntu because my Windows system got infected and I lost some things of not much value but I was clear that I did not want to continue being a user of such a vulnerable system. Ubuntu found a system based on the kernel of Linux much more secure not only by the system itself, but not being so popular was not the goal of malicious users. What I liked the most about Ubuntu was that I did not need any antivirus system to feel safe in my operating system since, the antivirus is something that has almost no use in the Linux world and of course I have not used it for a long time. Another thing that I liked most about Ubuntu and Linux was that most of the alternative programs were open source and therefore the content of the code was public so that I knew perfectly well that no malicious developer was doing an improper use of my operating system. Not everything is positive in Ubuntu / Linux, the main problem of Linux are the software limitations that exist because many of the applications that we have in Windows do not exist in Linux, not even free software alternatives, due to this we must resort to emulators like Wine to try to make the software work, in many cases it is too much work for a user with little knowledge. I recommend using Ubuntu mainly in enterprise environments due to the security implemented by Linux-based operating systems, especially in the network layer. Also another advantage of Ubuntu user is that the operating system is free in its entirety, as well as the software it uses. The main problem that Ubuntu solves both in my work and in my personal desktop in my home is that of security, using Linux I can surf calmly and install applications directly from the repositories without fear of my system being infected and vulnerable to data theft sensitive. "Ubuntu. Tu sistema operativo ideal"
Lo que más me gusta de Ubuntu es que aprovecha los recursos de tu ordenador para funcionar ofreciendo el mayor rendimiento posible. Es una delicia utilizar Ubuntu. Además está en constante proceso de actualización , crecimiento y mejora, gracias al a gran cantidad de usuarios que tiene detrás trabajando desnteresadamente en el proyecto desde un punto de vista económico, pues además Ubuntu se puede descargar y utilizar bajo cualquier entorno de manera gratuita. Lo peor de Ubuntu es que no acaba de tener el apoyo de la comunidad internacional de usuarios. Siendo defenestrado por multitud de compañías de software que no sacan versiones compatibles con dicho sistema operativo por puros intereses comerciales. Además, para entender y aprender a usar este sistema operativo lleva mucho tiempo de estudio, esfuerzo y práctica, y se debe tener en cuenta que para usuarios principiantes puede resultar difícil e manejar. Se utiliza Ubuntu en nuestro servidor para mantener un DHCP, controlar todas la subredes y aplicar un firewall para ganar en seguridad en nuestra empresa. También se utiliza como herramienta educativa junto con máquinas virtuales para aprender a realizar dominios y unir clientes. Ubuntu is, Linux distribution which means that this solution like other Linux distributions is available completely free of charge. The advantage of Ubuntu, which reassured me in choosing this distribution is the fact that it has an excellent graphical interface similar to competitive systems available on the market. Another advantage of Ubuntu is that the system is supported on an ongoing basis and very often there are updates and security patches. The significant advantage of using Ubuntu is that we don't need to use antivirus software, because Linux-based systems are very secure. Ubuntu is a distribution that allows for large customization, so each user can customize the system to suit his or her needs. - the Ubuntu graphical interface is very demanding for the computer. - All developers do not yet support Linux. If you are looking for a secure system that you can customize for your needs, you should consider trying Ubuntu, because this distribution is available completely free of charge even for Windows users. By using Ubuntu, I can safely use my computer without having to purchase a license for the operating system and antivirus. "Ubuntu provides Mac reliability and speed at PC price"
Worry-free. When I boot up my Ubuntu laptop, I know everything is going to load quickly, function properly, and in the rare case where something goes wrong with a program, it clean up after itself. I like that, using Ubuntu, it's very easy to find apps (usually free) that do what I need with very little fuss. The only downside has always been that most PC game developers use restrictive development tools like dot-net and DirectX instead of better, equivalent-function cross-platform tools like OpenGL and Mono, therefore many popular games are not available. You don't have to completely drop Windows or Mac to use Ubuntu. It can co-exist on the same computer with a little clever hard driver partitioning. I do recommend reading some basic manuals on the Linux command line, because there are some things that are just easier to do with the terminal than trying to find the right button. I use a suite of office and creative productivity applications that run natively on Ubuntu Linux - LibreOffice is a drop-in replacement for MS Office, Thunderbird replaces Outlook, and Gimp and InkScape do everything I need that I might otherwise use Adobe CS for. Aside from office tools, mostly I use Ubuntu for software development. "Safe and user-friendly at a price that can't be beaten." Aside from all the software that comes with it, there's also a vast amount of software in the "Canonical" store that can do nearly anything you need to get your computer to do, (and free for the most part). Although it can also be considered a blessing, software updates can pop up at any given time. For full benefit, it's recommended that before making the switch, acquire some basic user skills in the Debian Linux genre... mainly in use of "bash" and "sh" shells. The desktop (Gnome) is easy enough to use, but using the shell via a "terminal" window, or via an "ssh" connection is a little more complex, and you will need to know your way around it, when doing administrative jobbies, to keep yourself from damaging the system files. I can set the acquisition of marketing analytics as a background task, and just keep doing everything else that I need to do, without waiting. Les mises à jour régulières du dispositif d'exploitation rendent difficile la mise à jour des serveurs de fabrication. Même si mes peintures ne me veulent pas chez moi, Ubuntu est également connectée et de temps en temps, une fois que j'ai besoin d'effort, une récréation est impossible dans la plupart des cas. Les cas dus au maximum ne peignent pas nativement il est donc essentiel de faire beaucoup de configurations pour les amener au travail. Tous les logiciels ne sont pas comme ceux-là, mais les applications Internet étant plus courantes, le problème est moins grave. Assurez-vous également que vos applications s'exécutent sous Ubuntu et sont organisées de manière à permettre la restauration tandis qu'une mise à jour spécifiquement destinée à remplacer le noyau les casse. Il serait vraiment utile d'améliorer l'aspect visible d'un morceau. Un développement formidable a été fait, mais il est essentiel d'améliorer l'environnement de l'appareil, car le gadget est destiné aux programmeurs, il peut être difficile à gérer pour les utilisateurs non avertis. personne inhabituelle, mais cela a beaucoup progressé. A chaque nouveau remplacement. Problème avec les périphériques cellulaires ADB, instantanés personnalisés Flash sur les gadgets Android. J'ai facilement exécuté des commandes dans des applications de célébration du troisième anniversaire du terminal et installées. En outre, tout en vérifiant les performances globales de notre serveur, nous utilisons le matériel principalement basé sur Ubuntu. - Sin embargo, es posible que no obtenga todo el software que obtiene en otro SO, como por ejemplo el software específico de arquitectos o campos de este estilo como indicaba anteriormente, aunque la mayoría de veces siempre tendrás alternativas Open Source y gratuitas. - Ahorrando mucho gracias a esto. En nuestra organización comenzamos a cambiar de Windows y seleccionamos Ubuntu, lo que no hizo mucha diferencia para los usuarios. - It is aimed at the average user, with a strong focus on ease of use and improving the user experience Apart from this, I like the Ubuntu font ans overall UI a lot Ubuntu is a leader in terms of performing and developing application of security, and that is why our in organization also Ubuntu is a preferred OS by majority of developers. - Maybe I "miss" vs dislike the bells and whistles of Windows This has been a disadvantage for me It is a tool that is very powerful. You must use. the latest gnome version by default. Is better to use a desktop light version. you should be able to choose between a minimalist and advance desktop environment. But in this case.. by default you start in default gnome, if you hace a old pc, maybe you need more resouce to use the last ubuntu version. "Ubuntu : a true secure operating environement provider"
Best thing about Ubuntu is that is is highly secure OS, execution separation in kernel space and user space is well managed by this OS compered to other. Apart from this, I like the Ubuntu font ans overall UI a lot. Animation at some specific movements in OS while working makes the my experience very enjoyable. Ubuntu is a leader in terms of performing and developing application of security, and that is why our in organization also Ubuntu is a preferred OS by majority of developers. Ubuntu has not some of the most required software availability, I have to use some alternative software to get my job done. Bad part of it is that installation process of any service or package is all from terminal commands (though some of them now started being available in Ubuntu store, but still it is not way good!). For better user experience and get the high security I certainly recommend to use this OS. But you may not get the all the software that you get in other OS. This is worth try once. you will defiantly going to enjoy working in it, at organization and at personally also. Ubuntu is my primary OS, I usually run Linux scripts and mainly work on android studio on this, which run very efficiently compared to some other OS. Also, when we have test our server's performance we use Ubuntu based tools available in it. I love the flexibility of Ubuntu. It is easy to use from the terminal and easy to use from the GUI. It runs pretty much everything I need to work (hey, even Steam have a lot of AAA games running on it now). I even like the odd glitches that arise and the ensuing delves into stack overflow to try and fine some arcane fix for them. I guess the reduced availability of games is a downside (though that is changing - see comment re Steam); for the time being I will be sticking to my Windows gaming rig for that. You may have a bit of a learning curve coming from Windows. Stick with it, Ubuntu is brilliant and the community is really supportive. After a bit you will wonder why you ever though it was a challenge. Easier for dev work as all our services run on Linux servers, also has less compatibility issues with a lot of dev tools when compared to Windows. in a powerful system that helps very easily in operations that are necessary either for operational or laboratory practices, this system has many functions and are easy to install only if you know how to use the system, since it has many features that must be known in order to use it 100% but with the necessary study you can use all or most of the functions for your company and personally. What displeases me about this tool is its complexity because it has a very complex and very long study trajectory, but being able to have clear concepts its use becomes very useful over time. It is a tool that is very powerful. the last case attended with ubuntu was the configuration of a squid to use it as a transparent proxy in conjunction with a cisco router of the 2800 series and thus be able to have the history of the visited webs of each user of the company in which this configuration was made , it was very effective and the objectives were achieved. "Operating System for Programmers and Developers"
Ubuntu comes loaded with a lot features which can help programmers and developers. It uses very less resources of my computer which enables me to run my desktop application smoothly without any lag or disturbance. It gives me the ability to control all my processes and it has an amazing interface. It is best for Full Stack Development and the best part is that it is open source. Ubuntu is best Linux distribution for Application Development, Web Development and Competitive Programming. It is more of a command line interface, so Windows GUI is much better than it. The booting time can be slower and we have to configure it a lot to do certain tasks which we can easily do in Windows Operating System. It is hard to to use for new user due to it's complicated structure. If you are focusing on development, then you must start using Ubuntu. It can make your work a lot easier and you can feel it's power in comparison to Windows. It is the best Operating System for Web development and Application Development. We are currently doing our Full Stack Web Development work in Ubuntu for our company. It is mainly developed from Development point of view which makes it a suitable Operating System for any type of Development Purposes. "It is very good Operating system for developers"
Ubuntu's APT package manager provides a lot of—again—free-of-charge software and makes it easy to install, uninstall, and keep updated with security fixes and other updates. You can issue two commands and know that all your software is updated to the latest version. Major software like Chrome, Firefox, and Skype work well with APT. Windows usually requires you to find, install, uninstall, and keep track of updating all your software yourself. we use Ubuntu virtual machines in cloud to host servers and do computations. It is an open source OS.we can use it free of. It speed is amazing then windows.Mostly all software i can get from ubuntu software center free of cost. I also like ubuntu mail client thunderbird.Resource used by ubuntu is very less as it require only 400 MB RAM and 8GB of hard disk space. On these resource it will run very smoothly. Battery drainage very fast in ubuntu. Ubuntu office is not good as compared to MS office.Game community is also very small for ubuntu games. Very few keyboard shortcut available. In Ubuntu 18.O4 (i am currently using) have some bugs in video player. In this video is lagging sometime. I highly recommend you to switch to ubuntu. It community is growing abruptly. Basically don't have to buy anti-virus . It is self resistant.Here you can save your money and also in buying many software. "Ubuntu, the best operating system ever made "
I like Ubuntu because it is open source, Linux based operating system, there are tons of thing ubuntu can do others os can't for starters it is fully customizable you can change every single element of your UI/ UX, Ubuntu is highly secure that means no need to invest your money to buy antiviruses that tries to breach your computer to harm your data, Ubuntu is used by many developers around the globe because it has many functionality inbuilt which people have to install externally in another os like windows,Ubuntu is the fastest operating system out there because it manages the system resources use very efficiently, Ubuntu also gives you an inbuilt support for the bash in terminal. Ubuntu is not very user-friendly as other operating systems like windows is, especially for beginners they have to struggle a lot to get a habit of it, installing any software in Ubuntu is not just a double-click thing it could be a headache sometime, Ubuntu also has less hardware support especially graphics drivers are not supported, using Ubuntu I always face wireless connectivity issue. I would highly recommend Ubuntu for people who want's to be a developer or wanted to join cooperate world because if you did than Ubuntu is an operating system which is used everywhere and is also open source and highly adjustable to your needs, it also gives better performance than other os in low-end devices one must try it . "I Love using Ubuntu Server"
Yes Ubuntu server is my go to Distro to spin up a quick little server. From the amount of support I find online to the very nature of being able to install most every app I need for my server in a simple App-get command just makes setting it up a breeze. Couple it with Monit and you have an amazing up time. The only thing that really comes to my mind is that you cannot run as Root. I understand the security behind it but still I just wish They would get rid of that. It's not Redhat but it shouldn't be, with it's strong Debian base and now the addition of snap apps it's going the right way. Spin it up and try it! We run on site backup boxes with Ubuntu as the OS and then run our Code 42 on top. We also run a few other applications for customers and a few things onsite. It's easier to setup than Redhat by far. Ubuntu es una distribución de Linux, un sistema operativo potente,. versátil y muy cuidado. Es de licencia software libre y es de código abierto, lo cual facilita que numerosos usuarios saquen modificaciones para adaptarse a diferentes entornos. Ubuntui gestiona de forma efectiva los recursos de la máquina, tanto memoria principal como procesador, e incluye muchas herramientas para gestionar el entorno de trabajo, como crear usuarios, montar un servidor, crear grupos. Para ello ofrece dos camino, el intuitivo mediante GUI y el rápido pero menos intuitivo, consola de comandos. A través del centro de actualizaciones y software es posible encontrar con un buscador muchas herramientas también de licencia open source muy útiles para nuestro sistema. Lo que no me gusta de Ubuntu es que aprender a gestionarlo mediante comandos requiere mucho tiempo de estudio y práctica. Pero merece la pena invertir tiempo en ello para lograr la soltura necesaria para realizar las tareas administrativas con ultra rapidez. Ubuntu también tiene el inconveniente de convivir con las grandes empresas de desarrollo de sistemas operativos, y esto en ocasiones provoca que mucho software comercial no tenga versión compatible con Ubuntu. COnocer Ubuntu es recomendable, para no cerrarse a las alternativas en SSOO comerciales que tenemos. Ubuntu es gratis y potente. Ubuntu me ha servido para conocer un sistema operativo gratuito que se muestra robusto e intuitivo en su interfaz. No supone gasto alguno en licencias y es posible encontrar muchos programas disponibles a través del centro de software. Además funciona correctamente desde una máquina virtual, por lo que no hay necesidad de instalarlo realmente en local. Ubuntu is a good Linux distribution. It is quite smooth and supports many applications. Generally, I use Ubuntu for Automating the networking devices. Ubuntu is very powerful Linux distribution. I mostly use Ubuntu Operating System as a Virtual Machine and use with different softwares like GNS3 and python. User interface is really good and interactive. There is nothing to dislike in this Operating System because, Ubuntu is very powerful Linux distribution. Some users may face problems while operating because most of the Linux distributions are difficult to understand and operate. I would recommend developers and DevOps engineers to use Ubuntu. I mostly use Ubuntu Operating System as a Virtual Machine and use with different softwares like GNS3 and python. It operates very smoothly with other softwares. I often run Python scripts in Ubuntu and it manages to process very fast. "UBUNTU. No le tengas miedo." Ubuntu en es excelente sistema operativo, basado en licencias de software libre, también conocidas como código abierto, esto hace que una gran comunidad esté trabajando detrás obteniendo constantes mejoras. El sistema operativo no tiene nada que envidiar a otros de licencia propietaria (como Windows u OSX de Apple). Funciona como sistema operativo monopuesto o bien como sistema operativo en red (servidor). Es gratuito e incorpora de serie unn buscador que te va a permitir buscar ,ás programas gratuitos y de código abierto para instalar en tu sistema pocos clicks. Es fácil de instalar y muy intuitivo. El manejo de la interfaz de comandos es ultra rápido y te permite hacer cualquier cosa de forma más veloz que a través de la interfaz gráfica. Puede probarlo perfectamente junto con una máquina virtual para hacer pruebas antes de lanzarte ala implementación. AS la hora de instalarlo, puedes instalar el Grub (o antiguo Lilo) para establecer un menú de arranque en caso de que tu PC tenga varios sistemas operativos, para así poder elegir con cual quieres arrancar. Maneja mucho mejor que Windows los recursos del equipo tales como uso del procesador y memoria RAM. Hay muchas aplicaciones y juegos que salen para Windows y mac y en Linux Ubuntu no son compatibles. Si estas muy acostumbrado a usar sistemas operativos propietarios, al llegar a Ubuntu puede que te cueste un poco adaptarte. Encontrar los drivers de tus dispositivos hardware puede resultar ser toda una odisea. El manejo de la interfaz de comandos es muy complejo y requiere mucho tiempo de estudio y práctica hasta dominarlo al completo. Debes prestar atención a las actualizaciones periódicas para tenerlo a la última. Incluso en ocasiones será necesario cambiar de versión. Sistemas operativos gratis para los puestos de tuis empleados (o alumnos si hablamos de un instituto o academia) de forma gratuita sin tener que pagar las costosas licecias de Microsoft o MAC. "Ubuntu: the best linux distribution"
Ubuntu is an operating system based on Debian and maintained by the company Canonical. It works with a package system called Aptitude that greatly simplifies the installation of new packages or the update of them. It's compatible with almost all computers, and for me the best, there aren't virus or other issues like happens in Windows. In general nothing disgusts me in Ubuntu, I could only say that I do not like to include applications not free or with adds. Ubuntu is great as operating system, is free and fully meets the requirements. There are two releases each year and behind Ubuntu, there are thousands of people working to make it great. We use Ubuntu as the operating system because it is currently fully advanced and there is no problem with drivers or graphics cards or sound carby default in all of our systems, because it is currently compatible with all of our computers, and there aren't problems with drivers of graphics cards or sound cards like a few years before. "The ideal desktop operating system"
Ubuntu is an operating system basically desktop that has nothing to envy its competitors Windows and Mac. It has the best of all worlds, is fast as linux systems, is stable and is updated as Mac systems, and has available of applications like Windows. It is also compatible with all hardware like Windows. The negative points of Ubuntu are few, only lacks compatibility with Office without a virtual machine, it is a bit tedious to have to start Virtualbox every time you have to modify something, and on the other hand, there are some graphics cards that are also very problematic . I would like to see if in version 18.10 this is fixed. Simply ubuntu is the best option, since it allows you to do everything you would do in windows or mac, but faster and better, without viruses or problems. We use Ubuntu in most computers, since for the work we do it is very practical. Through SSH and a terminal we can manage our equipment and those of our clients. In addition to the applications integrated in Ubuntu we can do hardware maintenance perfectly, with tools for analyzing SMART discs or network tools for example. Ubuntu is best used for development purposes like software and Web development since it this operating system uses very little resources on my computer so my application can run without any interruption. It is fast and easy to use.It is engineered for high security. Your files are more secure in Ubuntu than it Windows. It can be bit hard for new user to get familiar with Ubuntu since it does have a great user interface like Windows. A lot of tweaking is needed to set up network on proxy which can be easily done on windows. We cannot play games on Ubuntu which can be major drawback if someone wants to have fun during application development . I recommend everyone entering in development field to use Ubuntu for development since it is very powerful and more secure than windows. It has a lot features which can make your work a lot easier and less cumbersome. Everyone must continue to use it. We are currently developing software in Ubuntu for our website. We work on database management for our company and work on PHP and mysql coding in Ubuntu since it provides lag free environment. "Very useful for work, that's all"
An open source operational system ( free ), a great tool if you work with IT( design, develop), because its very light ( you dont have to use an ultra powerful computer to run it ), simple and different from Windows for example(its really hard to crash). We are all used to Windows so the first touch with Linux can be very strange and hard to use, its interface is not friendly at all and another complaining about Ubuntu is that their drivers are not always up to date so many hardware/software cant be used by this OS. I recommend it if you're trying to work with IT, not for usual use, its hard and not friendly at all, but if you're used to technology, then you wont find much issues. Ubuntu Linux is the most popular open source operating system. There are many reasons to use Ubuntu Linux that make it a worthy Linux .Apart from being free and open source, it’s highly customizable and has a Software Center full of apps. Every computer user wants a operating system which is reliable, easy to maintain, easy to understand,simple to use operating system that makes it easy for them to access the small number of apps that they use on a regular basis. Ubuntu is that operating system. For such people, Ubuntu is brilliant. In terms of reliability and each of use, it is, I suggest,light years ahead of any version of Windows. "I have installed Ubuntu 18.04 LTS on my desktop two months back." I have been using Ubuntu 18.04 as my workstation, for the past sixty days and the operating system is working in perfect condition and, so far I have not faced any problem even after using it, for so many hours in a day. The best thing I like about Ubuntu 18.04 is its software repository as it has all sorts of software available for developers as well as for graphic designers right from IDE's to Libra Office and the installation process for the software is quite easy. For music lovers, there is Rhythm box and, for capturing the screenshots there is Screenshot available. The only problem that, I don't like with this Linux operating system is its slowness, for starting, it takes quite some time to set itself for functioning properly and even for opening the browser like firefox it is quite slow. I will highly recommend Ubuntu 18.04 to others as its installation is quite easy and there are thousands of free software in its repository. As a Web developer, I use atom for IDE and the browsers like Firefox and Chrome for testing the web pages and sometimes I use Inkscape, for graphics and for word processing I use Libra office and Tomboy. The greatest benefit of using Ubuntu 18.04, is its free software repository and it is quite useful. "El mejor sistema operativo open source!!!" Llevo usando Ubuntu desde hace mas de 10 años y he tenido cero problemas, jamas he tenido que formartear el portatil porque iba lento como ocurre con windows, solo he formateado cuando he tenido que cambiar de version de Ubuntu LTS, es decir, cada 4 años!!!! Absolutamente nada, ademas es muy configurable todo, lo puedes adaptar a diferentes escritorios, arranca muy rapido y sobretodo como lo tengas instalado en una SSD, yo tengo tres portatiles y en los tres tengo instalado Ubuntu, en uno de ellos con SSD y me arranca en tan solo 3 segundos.... 1-2-3!!!! Realmente prueben e instalen este sistema operativo de codigo abierto, se van a olvidar de pagar dinero por licencia, ni tampoco van a pagar por el microsoft office ya que viene integrado el libre office que es lo mismo y compatible con todos los documentos, words, excel, etc es muy rapido en ejecucion, muy libiano y gratamente contento de llevar mas de 10 años utilizandolo!! 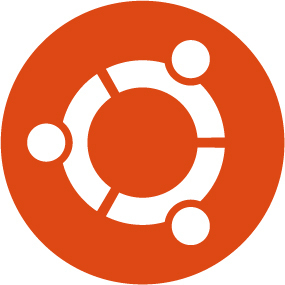 Before the arrival of Ubuntu, the use of GNU / Linux had a timid use on the part of the users, the philosophy of the project directed by Mark Shuttleworth, undoubtedly a good benevolent dictator, made the community of users expand and the large companies will not hesitate to choose this distribution as their desktop solution, saving considerable costs in licensing. For this, this dynamic philosophy of updates every 6 months contributed greatly and the flexibility to include as many peripheral drivers as possible. This same dynamism also contributed to give a great impulse to the state of distributions based on linux, which did not want to be left behind. Also in the world of servers, with its Ubuntu-Server, it has been widely accepted, including a long period of support (2023), support for state-of-the-art architectures, images for minimal installations, hardware monitoring tools and solutions for Cloud. Ubuntu has always sought to stay in the state of the art of gnu / linux distributions: it has recently taken out solutions for IoT and robotics, going through solutions for drones and industrial systems, making innovation one of its priorities. So almost for any intelligent thing there is an Ubuntu to carry. Ubuntu is the most used Linux distribution, at this in my opinion is because it's the best one for much people. This is because Ubuntu it's an open-source distribution, with a big company behind that put money to do it big, and it's easy to start and easy use for almost everybody. Apart from that, it's reliable and stable operative system, and the maintenance of the system it's easy with the updates and releases program. The only bad thing of Ubuntu it's the inclusion of Unity in the last versions, but there are a solution, you can install xUbuntu and work perfect with xFce. Ubuntu it's the best Linux distribution and you can download for free and use it as main system. I use as main operative system, in the work computers and in my laptop. "A great Operating System with many uses." Ubuntu is an easy to use operating system. It is great for those starting out with Linux and want to get used to it. Ubuntu has a great package manager, Apt, which is loaded with great software that one might use personally or professionally. Ubuntu offers several different GUI spins, such as KDE (Kubuntu), LXDE (Lubuntu), and XFCE (Xubuntu), allowing one to use their favorite desktop environment without needing to install it manually. While Ubuntu is easy to use, some of the packages can be outdated, such as Nginx, which can then make it difficult to use the latest software. As your options are to compile it from source or find a repository that offers the more up-to-date package. For those new to Linux based operating systems, this can be a challenge and be discouraging. Another issue is drivers. Linux doesn't always get the drivers needed for certain pieces of hardware to work. Off brand, or even name brand, wireless cards could end up being useless as there may not be drivers for them, or the drivers may be outdated and incompatible with the current kernel version. If you are new and just getting started with Linux, Ubuntu is a great first step in making the switch. The Ubuntu community is very active and very helpful. We use Ubuntu for our servers as well as one our workstations. Ubuntu offers great stability and ease of upgrading to newer versions. 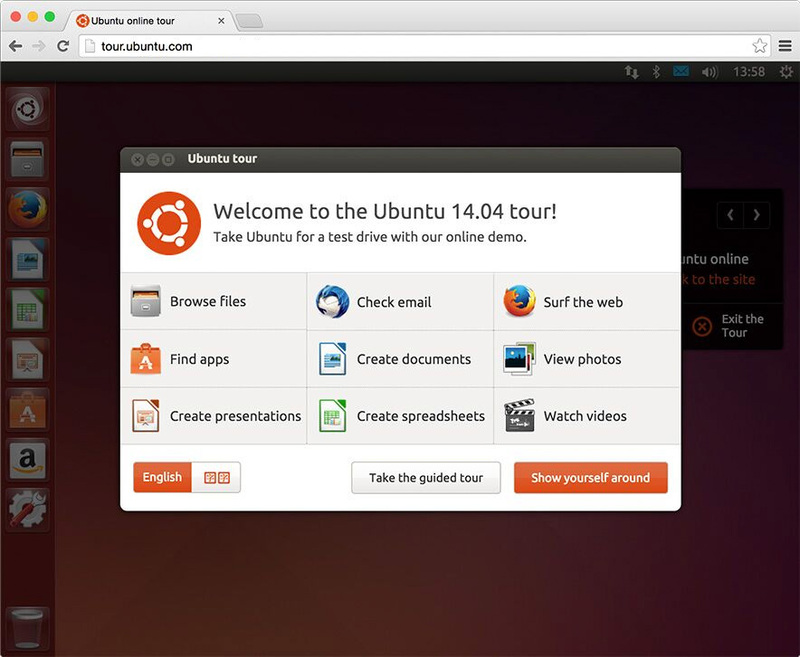 "Ubuntu the facility at your fingertips. If you want to learn!!!!" Ubuntu the facility at your fingertips. If you want to learn! One easy way to describe Ubuntu is that you can write in one window and upload and download the contents of another. For example, Gaim / Pidgin can chat with one of your colleagues and at the same time you can read a web page or a book without much effort just by moving it with the mouse wheel in silence. This though it may seem silly can not be done in Windows. On the other hand it has a great point in its favor that is Windows to bring a lot of malicious software and for this free software is not very common since it allows to modify its source code to the user's taste and the needs of this. In context Ubuntu allows you to install drivers and applications without the need to restart the PC to complete the installation which is many times causing inconvenience. This software at the development level is not highly recommended since it is more done or dedicated for end users, therefore it has many unnecessary and even heavy packages that are not easily practiced by software development. I recommend it for those people who want to learn more about the vulnerabilities of proprietary software such as Windows or Apple, the Ubuntu operating system allows them to migrate and learn more on the basis of open source. It has a simple environment to understand and can be adapted very quickly. Today I use it to teach beginners to newbies who want to play in the world of free software to learn the basics of this type of software ... already with this notion can create an environment of inspiration for development. "Ubuntu - The friendliest version of Linux"
I just wanted to give a quick foreword, I'm not super proficient at Linux/Unix-like OS'es, but I have used Ubuntu Desktop and Server OS multiple times but my comfort zone is Windows. That being said, Ubuntu has by far been the best Linux Distribution for me to learn, test, and develop on. In my opinion, I feel like where Ubuntu shines is it's strong community support. If you are new to Linux or even new to computing, administrating, networking, etc... Ubuntu is probably the best place to start. The Desktop OS provides an incredibly intuitive design that allows people to get moving quickly while still allowing total systems control like a proper OS should. For the Ubuntu Server OS variant, I personally learned almost everything I know about Linux on Ubuntu so transitioning to the Server OS was a cakewalk. I think the largest dislike for me when learning and transitioning to Ubuntu was that the majority of OS management was performed at the terminal. In the Server version it's performed strictly at the terminal. When i was first learning my way around Linux I was having a hard time with getting SSH setup so I could log into the server remotely. I found tutorials online but they always seemed to be missing a step or two and I couldn't seem to get it to work. Finally, I asked on a Ubuntu Support forum and the community helped me get SSH setup, with an SSH keypair (certificate instead of password), and took the time to explain how SSH works in Linux. Primarily being a Windows user at that time, the entire setup and configuration was completely foreign to me. If you are looking for a robust, yet stable Linux OS with tons of free community support then Ubuntu is the right choice for you. It seems to have some of the best hardware driver support out there so if you are installing on a computer with bluetooth of WiFi capabilities then Ubuntu will probably be the best experience with working drivers out-of-the-box. I'm currently using Ubuntu as the OS for my development environment of a MEAN stack web app. I'm also running Ubuntu for my DevOps management node while I'm learning Ansible. (Ansible doesn't currently support Windows being a management node.) I'm running web servers with Nginx, Tomcat, Apache on them, Back-end MySQL and MongoDB databases. what I like most about ubuntu is that it is one of the distributions of linux with friendly interface and easy to use, compared to other distributions of linux, it was the distribution that led me to the world of free software, and the best that a community has who works to improve it. what disgusts me of ubuntu is that some installations have problems of starting the operating system, this problem is almost always in the root where we install the operating system and there are cases where we have to format to solve the problem. I recommend ubuntu to other users to start in linux, besides there is extensive documentation and tutorials. Ubuntu has helped me to introduce windows users to the world of linux, because it is a friendly distribution has been the door to learn linux in my work department, also in the creation of stable servers. "One of the best distributions ever"
I think that ubuntu has managed to bring Unix operating systems closer to the usual windows users, with an easy installation system, easy usage, and limiting the things where the terminal is needed. Focusing more to Ubuntu kindness, its compatible with almost all hardware available and there are a very big repositories of packages available, that allows the users to use lots of applications. The only negative point of Ubuntu is the disgusting graphical environment Unity, it's slow and gets hang usually. We use as operative system alongside Windows 10. Basically we use as operating system for servers, but also we use in some desktops. "Ubuntu is efficiency, quality and economy in a single operating system"
ubuntu is an operating system that I like because it is free open source software that gives programmers the opportunity to have a free license operating system, that is, free of cost and with features and functionalities that make it a tool for great utility and ease to develop codes and programs easily. is a great free software that allows you to optimize various tasks that we could not with other operating systems, however when working and modifying Windows documents that are usually complex, when we open and manipulate them they have become difficult tasks or almost impossible to work due to the low compatibility to import from Windows for Linux, which does not happen vice versa. I recommend it because it offers advanced security features and is a free operating system and although it presents versions that require payment, it is still more accessible than Windows, and as a very important aspect we can execute and load tasks with greater efficiency than with Windows. it has been a large distribution of Linux that has generated different opportunities and with it brings benefits that allows us to reduce problems in terms of its implementation, mainly with this operating system it solves the compatibility problem that many operating systems have with Windows, on the contrary Ubuntu is compatible, which is a great advantage over others because Windows is undoubtedly the most used worldwide, also the problems of complexity and understanding are set aside as it is easy to use and understand by programmers with Basic knowledge and in general by the end user. I consider it important that with this operating system we can leave viruses aside, since virus writers normally do not act on this Linux distribution. If you have a knowledge in the Linux platform, then this is one of the best OS. I had worked in Ubuntu when I was worked on the servers, Most of the servers have Ubuntu operating system, it is easy to setup. There is three or four commands which we used to setup LAMP. Even if we are talking about security, then you are also familiar with UFW which are the best security part in Ubuntu. The best thing is you no need to pay single amount in ubuntu OS. I dislike nothing in Ubuntu. If you are the new users in Ubuntu, this is little bit tough to understand the UI of Ubuntu, but after that if you familiar with that, this is very easy to understand. Ubuntu is good for security and development sector. They save your time, easy to setup and best for the servers. They have all the repo's which you want in the development phase.